When on vacation to Florida, people prefer to spend time mostly in Orlando and Miami as well. Also, they accept to go from Orlando to Port Charlotte and vice versa. From Port Charlotte to Orlando by utilizing a shuttle service because it is the cheapest way of transportation within the state. Not only this but also many residents use shuttle service for their transfers from Orlando to Tampa and likewise. In this blog, you will read about how to move from Orlando to Port Charlotte on a budget. Here are some fundamental tips on how you can make your Orlando Port Charlotte airport or Sarasota move on a budget. The places where you can receive the shuttle service are by Orlando airport and Orlando International drive. These are the most common locations for guests and visitors coming to Florida from all over the world. The most helpful thing that makes your travel from Orlando to Port Charlotte on a budget is the shuttle fare, and it is way economical than hiring a cab/taxi service from Orlando to Port Charlotte. It is way much inexpensive than the cost of using a private transfer from Orlando to Port Charlotte. Most expected, the cost of a taxi or private transportation will be around $400 – $450, while the Orlando Port Charlotte shuttle service is between $50 to $60. For the traveler’s comfort of access, there are several central station locations they can decide to pick up when utilizing the shuttle service from Orlando to Port Charlotte. The areas are The WAWA Gas Station very near to the Orlando International Airport (MCO) and the Orlando International Drive by the Convention Center. One of the essential advantages of using Orlando Port Charlotte shuttle service is that it provides an opportunity to give pick up/drop off services in various cities with the way when traveling from Orlando to Port Charlotte through east coast and west coast. Even though, tourists can get to Port Charlotte on time. Should you require more assistance on your trip, please contact us anytime. 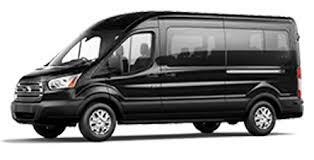 It makes plenty of thought that hiring some shuttle as your transportation to go to port would be an excellent way to keep the money. Riding a shuttle would probably be lower than hiring a taxi because more people would be involved. It could be beneficial that there is more space in a shuttle as well so you wouldn’t have to worry about that.